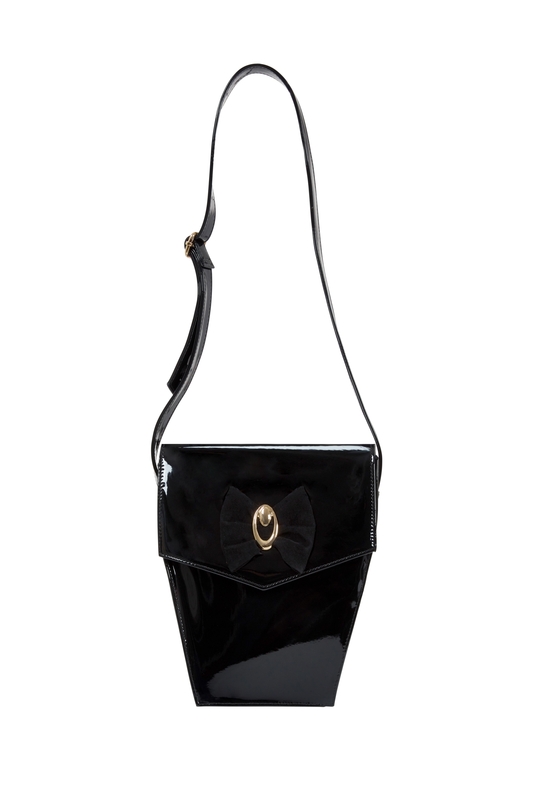 Look effortlessly chic with our Molly 50s Style Cross Body Bag! Featuring an envelope-style opening, this sleek patent bag is an easy go-to accessory. The simple velveteen bow and gold emblem add just a touch of detail, because who likes a boring bag? Love the look? Check out the Lilia Leopard Clutch Bag!